The Piazza Grande in Arezzo was immortalised in film by Roberto Benigni in his Oscar-winning masterpiece “Life is Beautiful”. The square is also famous for the biggest and best-known antiques market in Tuscany, which is held on every first Sunday of the month and on the respective preceding Saturday. Hundreds of traders ply their precious wares and curiosities here and in the neighbouring squares, streets and alleyways. 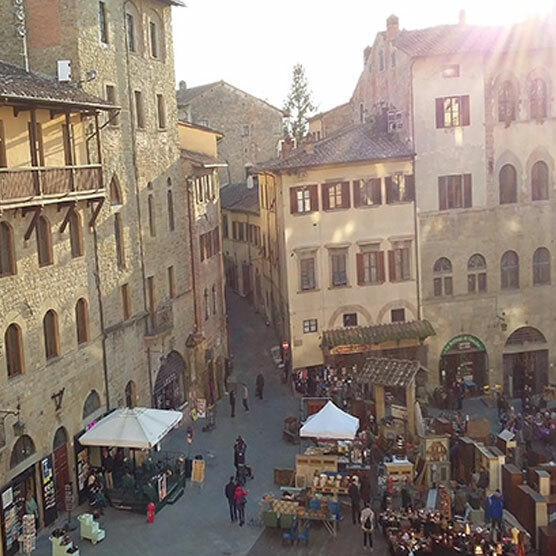 Antiques markets are also held regularly in Florence, Fiesole and Lucca.